​I draw, write, reflect and respond. Having studied art to MA level, I became distracted by commissioning and curating art for many years. Since January 2017 I’ve been back in my studio drawing, or at my desk writing. I rarely go a day without doing one of those things. 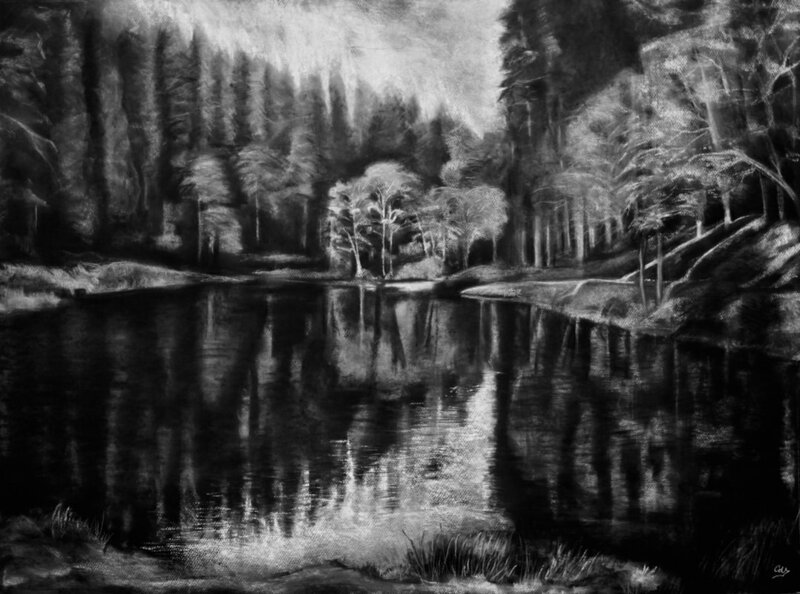 The focus of my work is landscape, in large, immersive charcoal drawings, or films made with a 360-degree camera. I occasionally do small square works - there's something delightful about shifting from 1 metre down to 10cm squares. 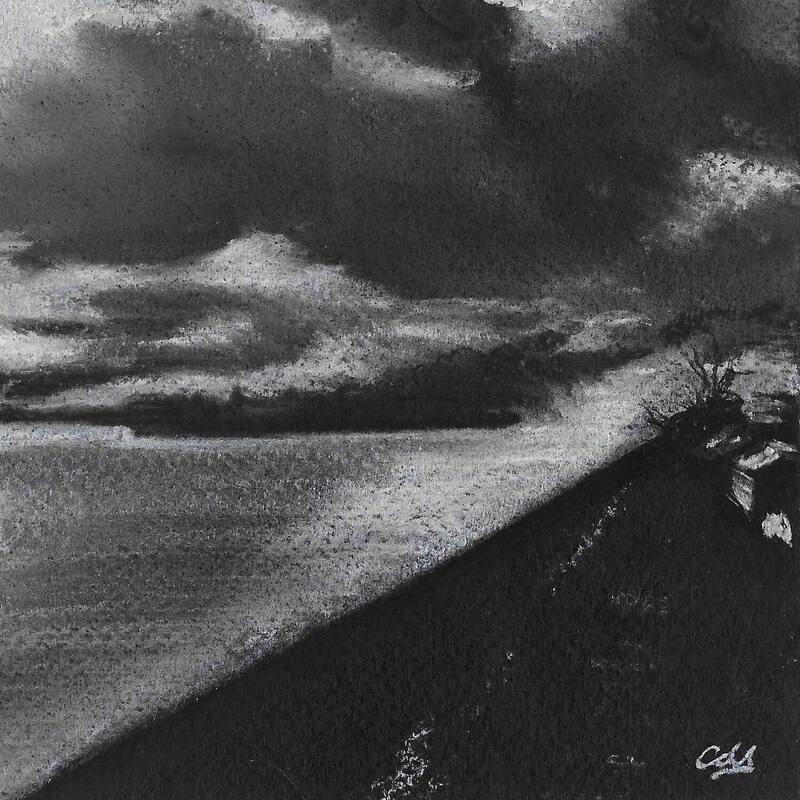 Mostly known for the panoramic drawings of the River Severn, I have recently been doing large drawings on black paper, like this one: Soudley Ponds January 2019 1m x 0.75m chalk & charcoal on black pastel Fabriano paper. I love drawing with large gestures, tightened by fine detail. I pop-up in various exhibitions on both sides of the Severn & the Wye. I’m always looking for good places to share my work near both rivers.